Whinchats are an iconic bird species that act as an indicator of the status of grassland habitats, migrant birds and overall biodiversity throughout Europe. It is representative of many other plant and animal species in high nature value farmland, which also benefit from measures to protect the Whinchat. The participants of the 1st European Whinchat Symposium are concerned about the fact that Whinchats have dramatically declined by 50 to over 90% in many European countries in the last 20 years, and in some areas they are now extinct. We ignore this clear signal of the loss of European ecosystem services at our peril. Conservation measures are therefore urgently required to save this species from further decline. The contributors of the symposium conclude that modern intensive agricultural production systems are the main cause of the population decline and the species’ critical situation. 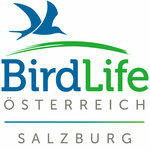 To protect the Whinchat and its habitats the participants stress the necessity of conservation across national borders. 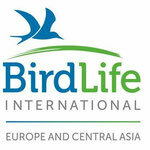 This includes the consequent prohibition of illegal bird-trapping. Trans-boundary cooperation needs to be intensified to develop conservation strategies from local to regional to national to continental scales. In conclusion the participants of the 1st European Whinchat Symposium call for immediate and coordinated action to implement effective measurements for the conservation of the Whinchat throughout Europe. Only through such action will it be possible to meet European biodiversity targets on farmland by 2020. 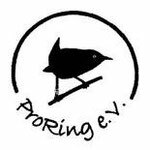 From 27th – 30th May 2015 more than 90 ornithologists, conservation and agronomy scientists gathered together at the 1st European Whinchat Symposium in Helmbrechts, Germany. 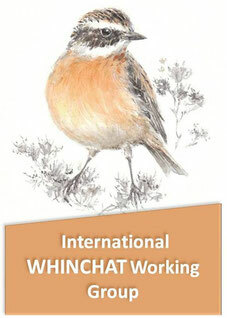 In 42 contributions, experts on the Whinchat presented scientific findings from 18 countries. During the symposium the participants decided on this resolution unanimously.